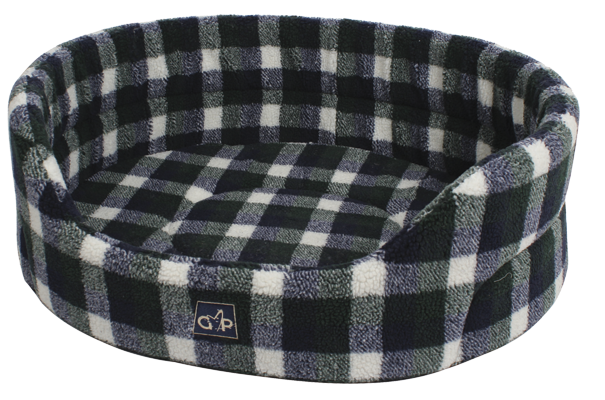 Gor Pets soft Highland sherpa bed. The tall sides and high density foam protects from drafts. Machine washable with a removable base.